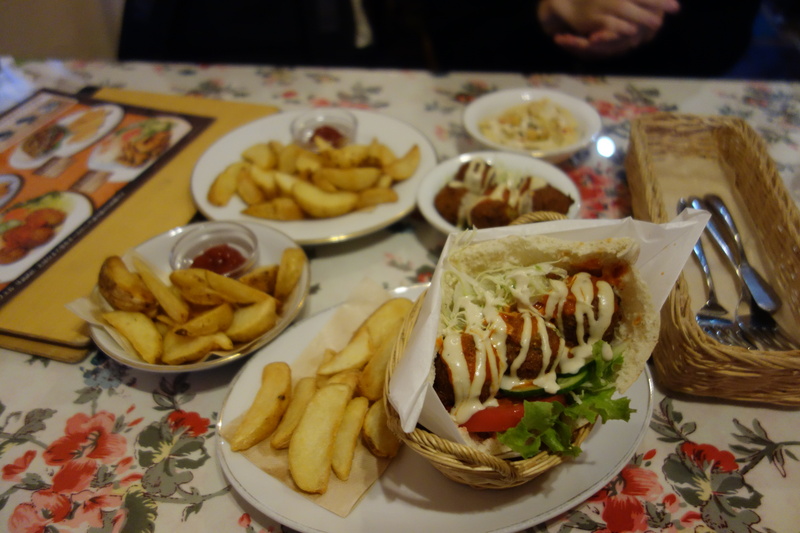 Building on from my last blog post (the struggle is real), I have decided to compile a list of my five favourite Vegetarian-friendly (and/or Vegan friendly) eateries in Tokyo and Kyoto. Osaka unfortunately does not rank as, although it was visited, we seriously struggled to find any palatable vegetarian places here. This wholefood café scores points with it’s light, ambient interior, cute material covered menus and, most importantly, very yummy hot vegetable sandwich. 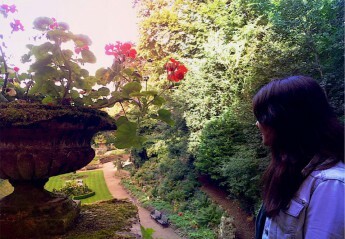 In addition, it was only two minutes down the road from the Rich Kyoto Hotel where we were staying. Although not providing an abundance of choice for vegetarians, they also offer a vegetarian curry and their breakfast menu offers granola as a veggie-safe option. The vegetarian sandwich itself varied in terms of ingredients both times I visited; both times the café used thick, fresh white bread but the first time, it was filled with seitan (a wheat derived mock meat) marinated in ginger and soy sauce and the second time, it was filled with sweet potato and other root vegetables (my favourite variation of the sandwich). 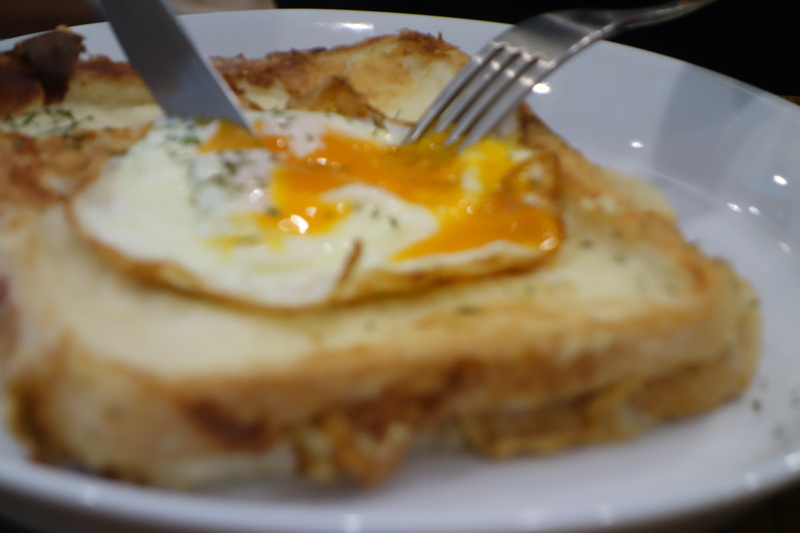 For those of you that are happy to eat meat, my friend seriously enjoyed his croquet monsieur. They also serve a really excellent mandarin juice for those with a citrus sweet tooth. This dumpling haven may be a bit difficult to find but is a valuable needle in a haystack for any vegetarians in Ikebukuro, Tokyo. 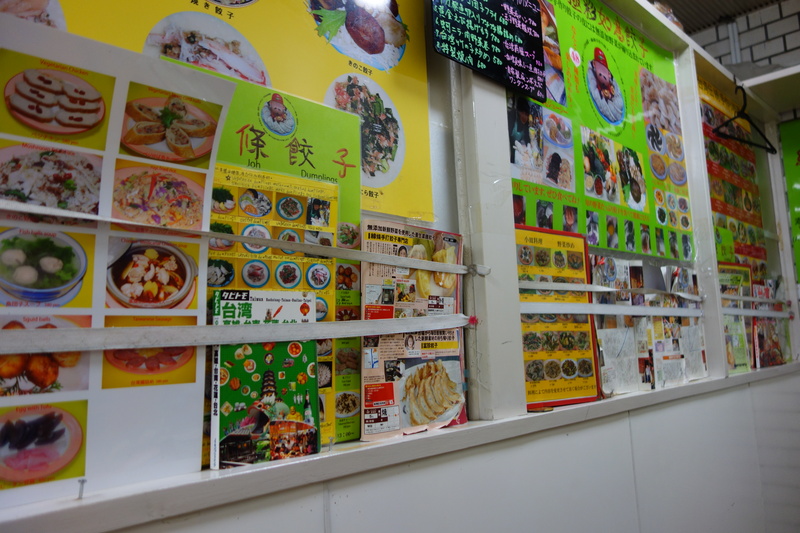 Run by the most lovely Taiwanese lady who speaks some English and has an unbelievably comprehensive understanding of vegetarian and veganism (upon finding out I was vegetarian, she proceeded to check if I ate egg), food here is incredibly reasonably priced. You can grab a vegetarian set dinner or, if you eat meat, a regular set. 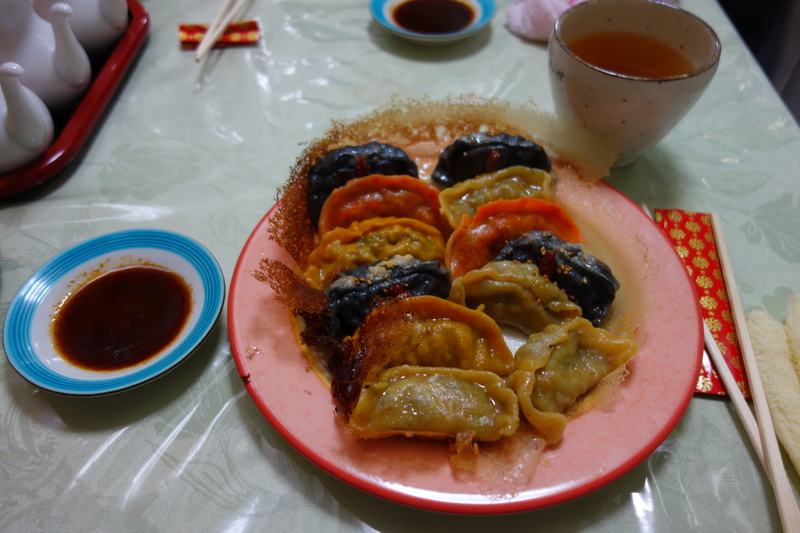 This tends to include seaweed soup, sticky rice, a red pepper and egg dish and a selection of gyozas filled with whichever fresh vegetable ingredients the owner has in her kitchen. Jasmine tea is complimentary and since the restaurant is very small and narrow (with only two tables inside), takeaway is also an option. This completely Vegan café seems popular with locals and tourists alike; in spite of the dark, wooden interior, the food warms you up and impresses- so much so that my meat-eating friend considered the food to be “a stellar example of Vegan food being perfectly capable of tasting good”. Needless to say, you are spoilt for choice regarding the menu but the things I ordered when I ate there were the burger special (a teriyaki tofu burger with French fries and salad, my favourite dish there) the first time round, and a seaweed, potato creamy ragu pasta the second time I went. 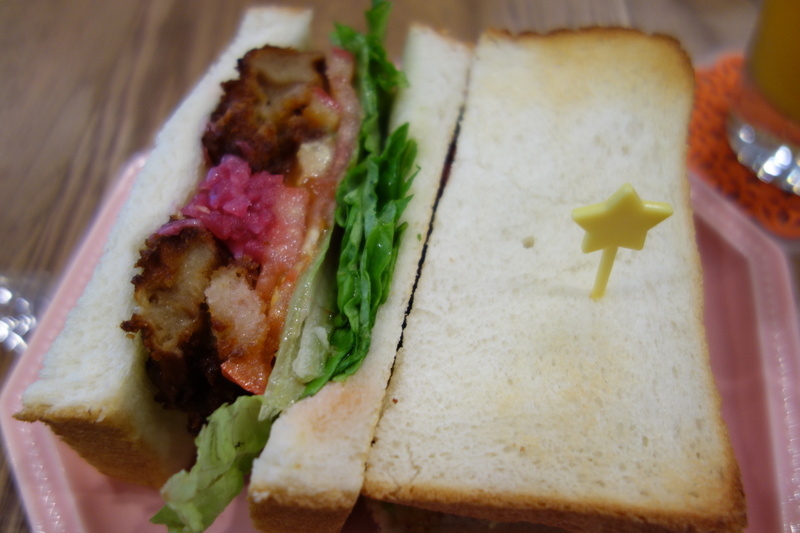 My friend went for a fried miso burger the second time we visited. 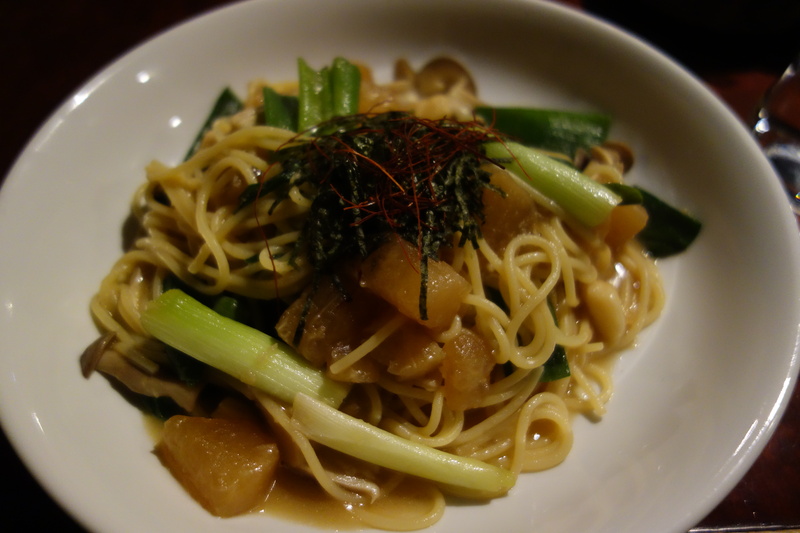 Food is freshly made and tasty, fusing Japanese flavours with Western dishes. 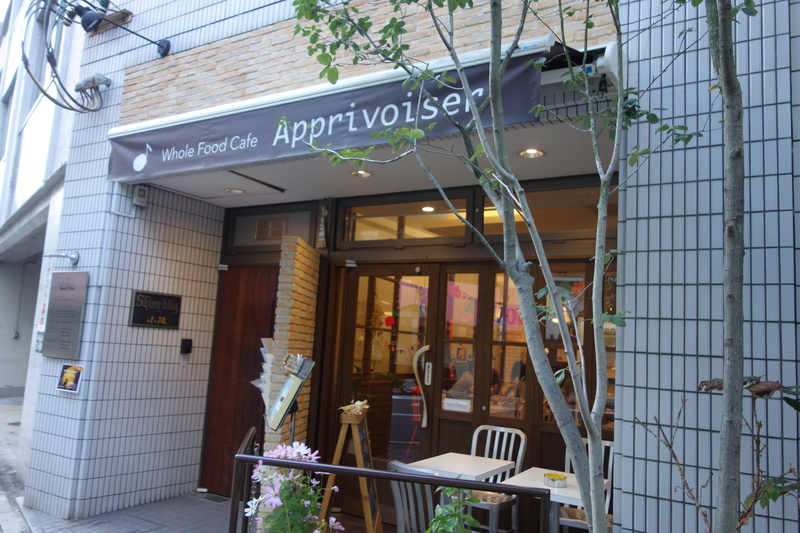 and the café itself is not difficult at all to find (central to the downtown Kyoto shopping area). 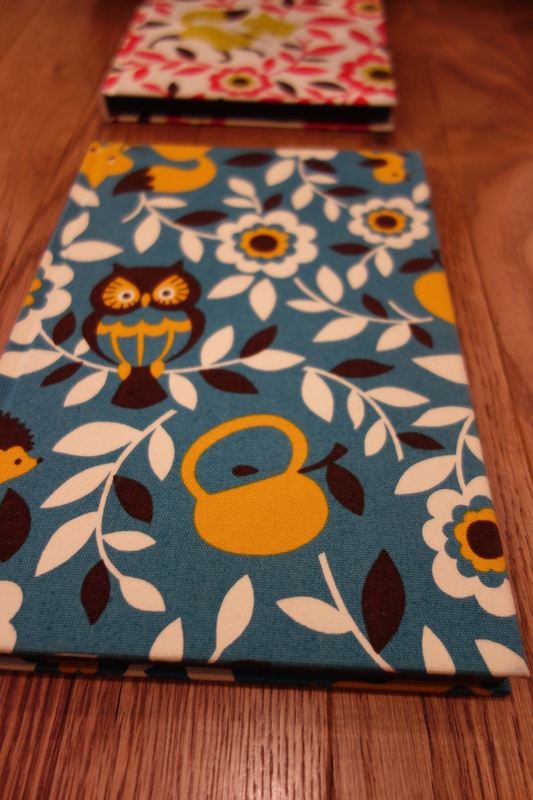 And finally, my friend and I argued about how to order these top two but you know, it’s my blog (I say in total jest… I have to be honest- both were excellent). 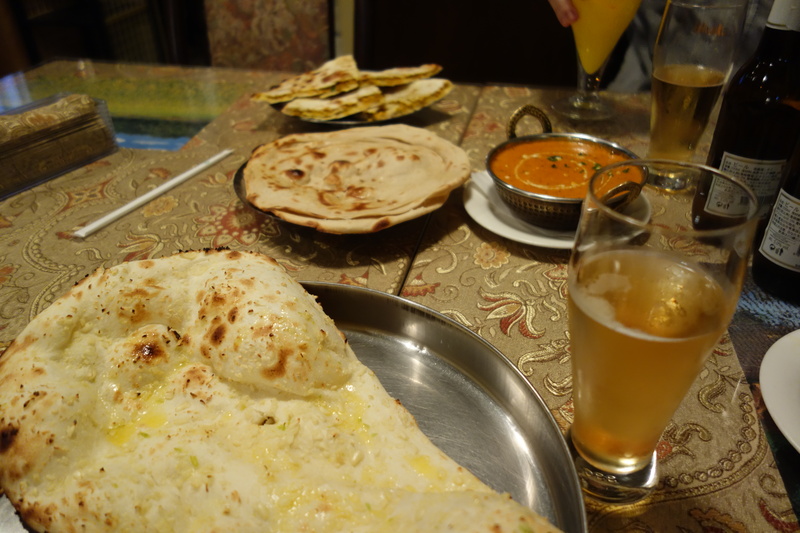 Located near Gion Shijo Station, this Indian restaurant wowed in every way. Bollywood movies played in the background (I’m a fan already), the staff were really friendly and, best of all, the food was some of the best Indian food myself and my friend have ever eaten. 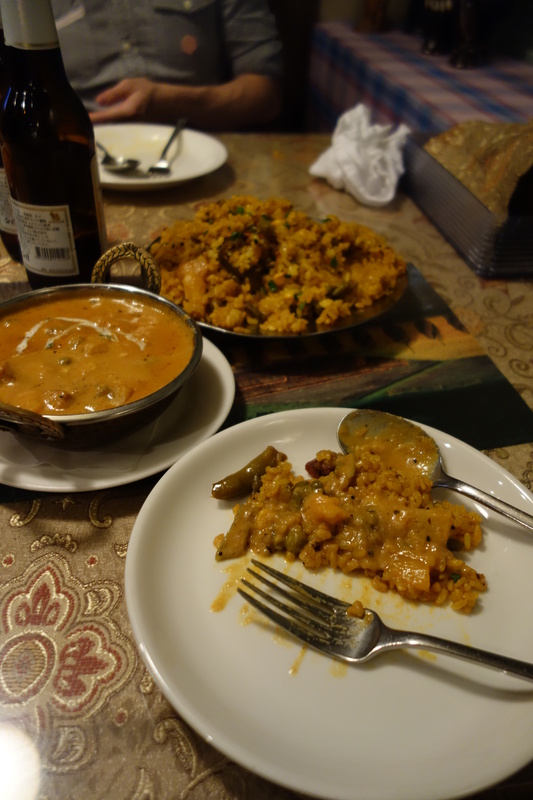 Portions were ample, and I seriously over-ordered with a delicious garlic naan, cleverly spiced vegetable pilau rice and beautifully creamy veggie korma. My friend went for keema naan, butter chicken and pratta. He also enjoyed the Mango Lassi but I can’t say no to Singha beer with a curry 🙂 Note that the restaurant is at basement level but the sign outside doesn’t make it too difficult to spot. This was the first time I left a restaurant in Japan with a food baby. I can’t help it- I’m a total sucker for a good falafel and these were absolutely fantastic! 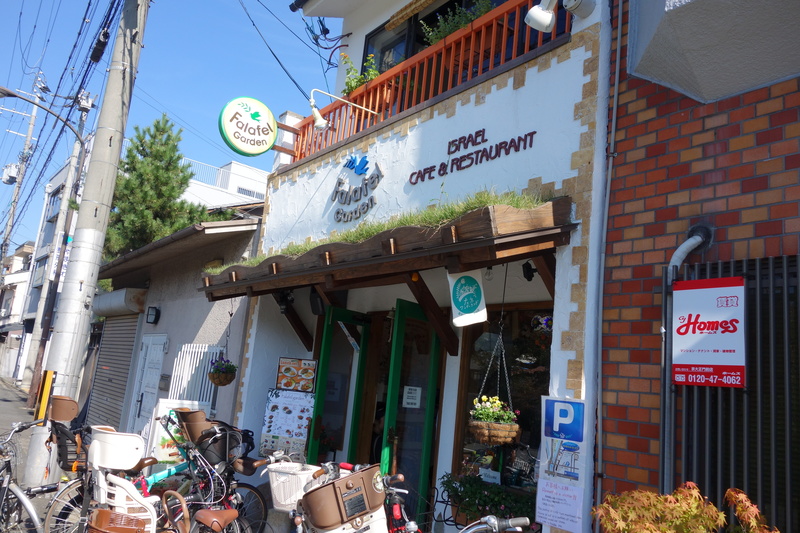 Located down the road from Demachiyanagi station, this Israeli Café and Restaurant was incredibly popular with locals and became very full very quickly. Whilst this meant service at times was slow, the food more than made up for this. 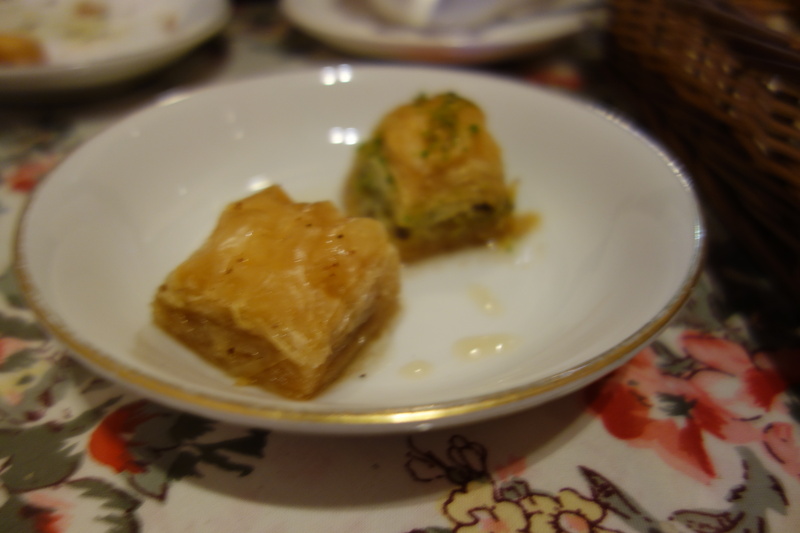 Falafels were the best I’ve ever had with a really lovely bite (I chose for mine to be served in pitta with salad and a homemade dressing), houmous was rich and flavoursome, the crispy pitta (though a bit oily for my friend) was spiced to perfection and the baklava bites we had for dessert were very yummy! Note that although this place is veggie-friendly as opposed to completely vegetarian or vegan, the menu clearly labels vegan dishes. Easy to find, good ambience, and a meal that kept me very satisfied despite not being able to find a restaurant to eat dinner in when I got to Osaka (thank goodness for Pringles and fruit). 1) Look for a nearby Irish pub. 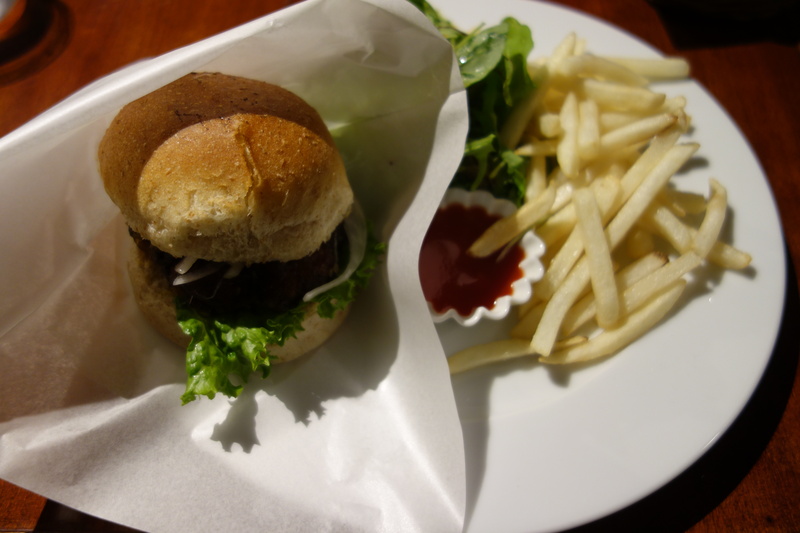 I know this sounds absolutely ridiculous, but as well as being guaranteed Guinness (if you like it that is, not for me but it is popular in Japan), you will get chips and onion rings. And when you’re hungry, beggers can’t be choosers. 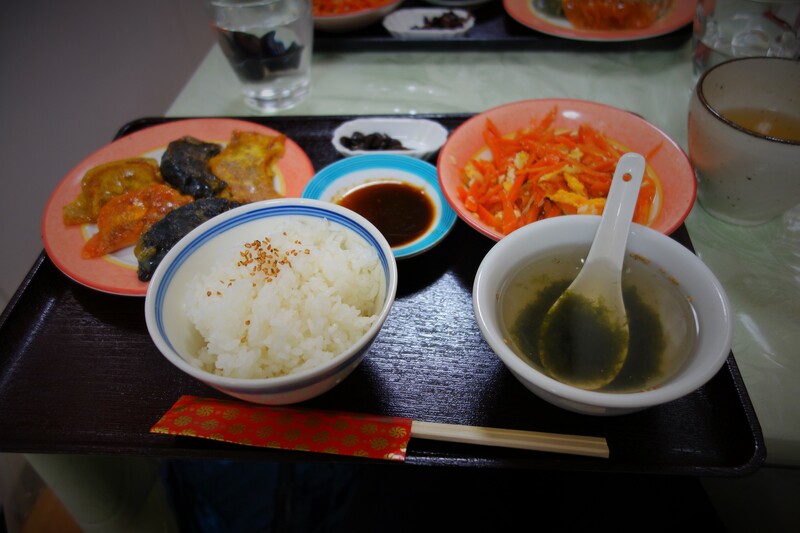 2) Check out Brown Rice in Tokyo. I’m not saying the food here was bad because it’s not- it was fresh and well made. But it will leave you hungry, and the food is expensive for what it is. This is a vegan restaurant strutting around as a macrobiotic health food place, rather than a genuinely comforting place to get filling vegetarian or vegan food. 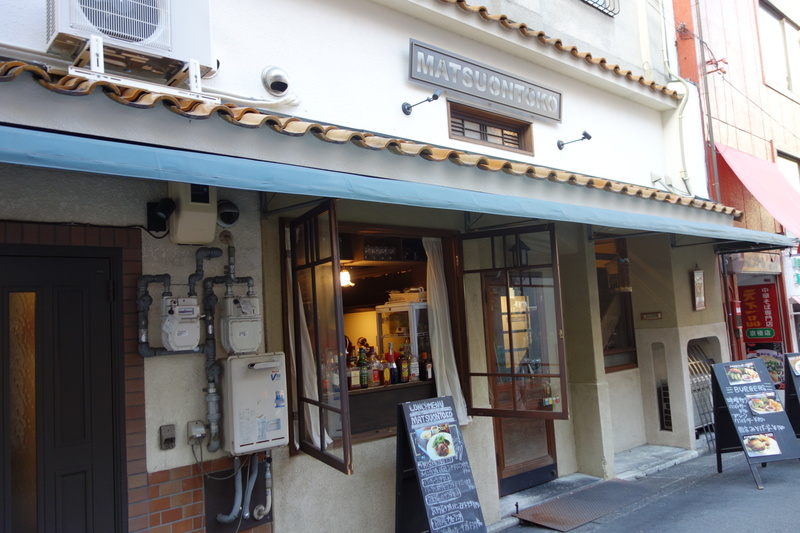 Also note that the restaurant is hard to find- it is located behind Neal’s Yard Remedies in a rather plush area of Tokyo- Omotesando (we were there to visit Nezu Museum).